The Federal Communications Commission (FCC) has started the process of eliminating net neutrality, voting Thursday to shift internet regulation to the Federal Trade Commission (FTC). The commission had voted last month to begin unraveling the designation of the internet as a public utility. The Obama Era FCC had designated the internet as a common carrier, basically a regulated public utility. Prior to the utility designation, the internet had been under the jurisdiction of the FTC, which mostly goes after deceptive trade and anti-competitive practices. The current FCC chairman, Trump appointee Ajit Pai, has long viewed the utility designation as an unnecessary government "overreach" and has left no doubt of his intention to reverse it. 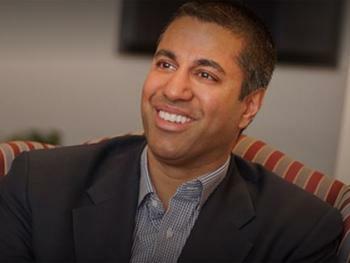 Prior to being named chairman, he said that net neutrality's days would be numbered if he had anything to say about it. Opponents fear that, once the internet is deregulated, AT&T, Comcast and other gigantic conglomerates will give preferential treatment to their content, making it harder for smaller content providers to grow and prosper and, thus, depriving consumers of access to diverse content. Among those opponents is the lone Democrat on the commission, Mignon Clyburn. “While the majority engages in flowery rhetoric about light-touch regulation and so on, the endgame appears to be no-touch regulation and a wholescale destruction of the FCC’s public interest authority in the 21st century,” Clyburn said recently. The next step in moving internet regulation to the FTC is to take public comments. That is usually a pro forma operation in which lobbyists, company executives, and few others submit comments. 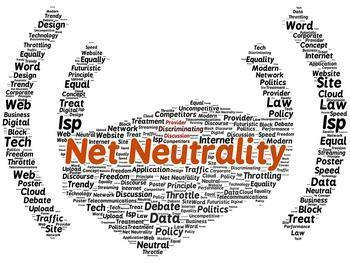 But the net neutrality issue, unlike most dry and tedious telecom regulation, has become a red-hot cause for thousands of activists. Last month, the FCC learned just how dedicated some of those activists are. After comedian John Oliver harangued the FCC on his Sunday night show, he urged his fans to flood the FCC with comments opposing the scrapping of net neutrality. The FCC's servers crashed a short time later. Activists said the servers were crushed by the weight of public opinion, but the FCC claimed hackers engineered the servers' failure. Whatever happened, the American Civil Liberties Union says the 60-day comment period should be extended given its potential impact. Michael Macleod-Ball, chief of staff at the ACLU's Washington office, said there is a history of "horsing around" with the FCC's comment pages.